According to OTEC International LLC (OTI), in 1870, Jules Verne introduced the concept of ocean thermal energy conversion (OTEC) in his book, Twenty Thousand Leagues Under the Sea. Within a decade, American, French and Italian scientists are said to have been working on the concept but the Frenchman, physicist Jacques-Arsene d’Arsonval, is generally credited as the father of the concept for using ocean temperature differences to create power. “I owe it all to the ocean; it produces electricity, and electricity gives heat, light, motion, and, in a word, life to the Nautilus.” Jules Verne, Twenty Thousand Leagues Under the Sea. D’Arsonval’s student, Georges Claude, built the first OTEC power plant in 1930 in Cuba, which produced 22 kilowatts of electricity. 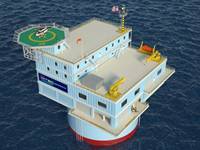 Petrobras will launch a world first floating offshore oil terminal in order to be able to transfer oil to oil tankers offshore, beginning in 2014. Up until now the oil had to be transported through pipelines from the offshore rigs to the coast where tankers would load up the oil. It is expected that this new system will decrease oil transportation costs as tankers will be relieved from the high Brazilian port taxes, the tankers will also save up on their own bunker oil as the distances they will have to travel will decrease. The new system should be used mainly for export oil and will also probably be a hub for tankers coming to fill up on deepwater pre-salt oil. With the work on its new shipyard underway, OSX, the shipbuilding and ship rental company belonging to the EBX Group, is planning on entering tenders in order to try and get a piece of the contracts for 21 drillers for Petrobras. The OSX shipyard is being built within the Açu Port area (the Açu Port is also in construction and is also owned by the same EBX Group). Sete Brasil is administering the construction of the 21 drillers, which will then be leased to Petrobras. Petrobras itself will oversee the tender process. Sete Brasil is one of the local companies participating in the tender and they have already been awarded the contract for construction of the seven first drillers, which are being built at the Atlantico Sul shipyard in the Brazilian northeast state of Pernambuco.